If you are familiar with Japanese culture and even just play the popular game ‘Fruit Ninja’, you must know how fast and effective the Ninja knife can be. 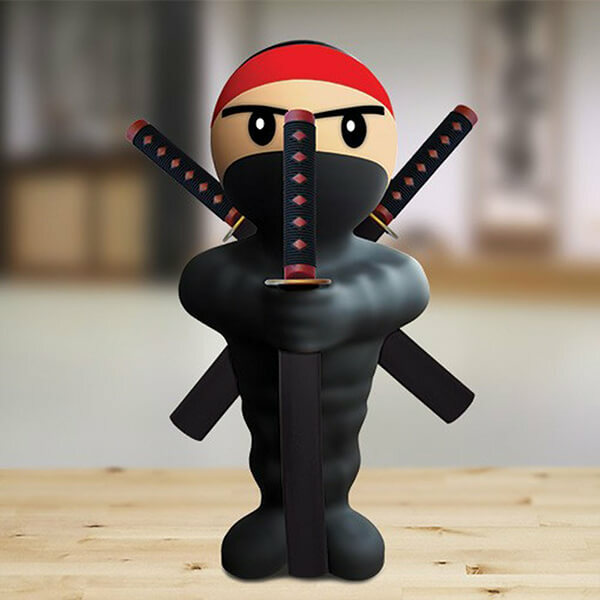 Designed behind this idea, the Kitchen Ninja features three different knives – a utility knife, a bread knife, and a chef’s knife. 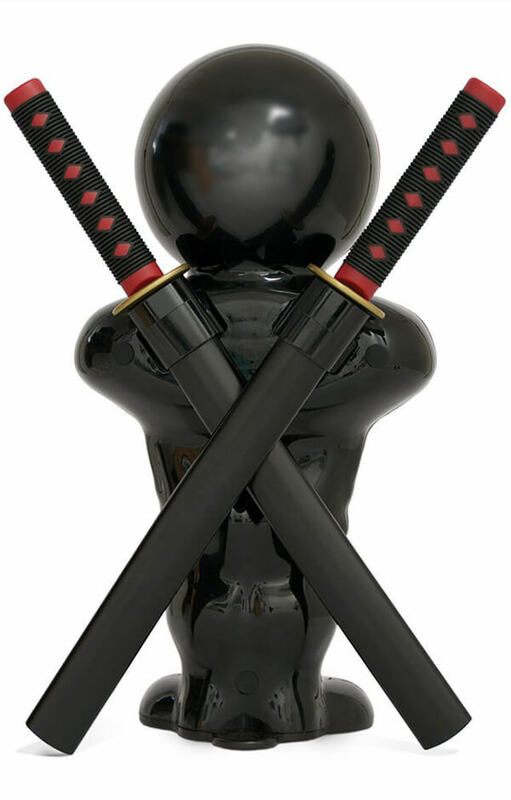 The strong steel can slice and dice everything in its way. In addition to their practicality, these knives also fit in with the design. 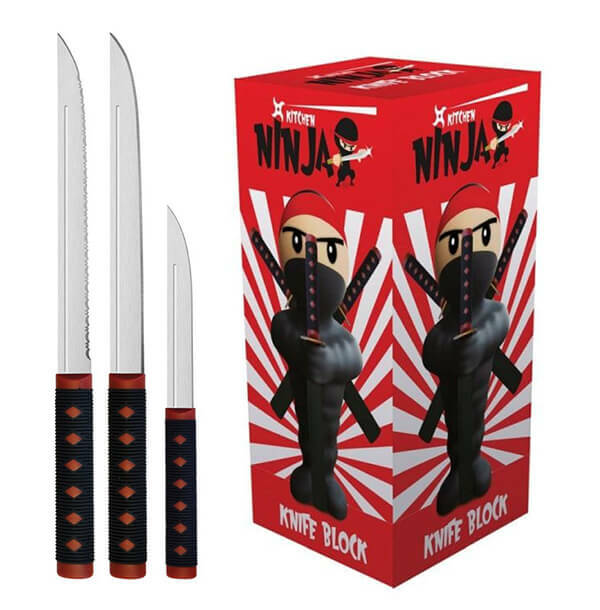 The handle of each knife looks just like that of a ninja’s sword and the block itself just looks like a miniature ninja with a cartoon aesthetic. 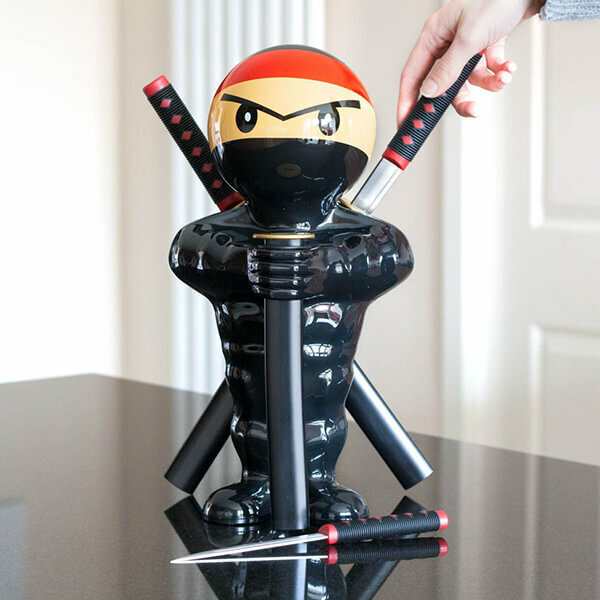 When not in use, the ninja guards each knife securely to keep them looking new. What a playful design! 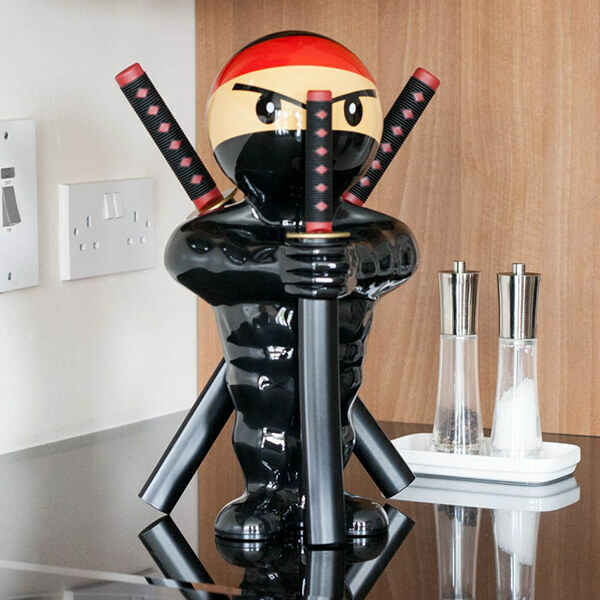 This set looks fantastic in any kitchen and makes a brilliant gift for any cook or ninja obsessed person!